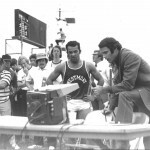 Madagascar’s sprint legend Jean-Louis Ravelomanantsoa passed away on Tuesday September 27th, aged 73. He is the only athlete from Madagascar to make it to an Olympic final, with an 8th place in the 100m at the 1968 Olympic Games in Mexico. He clocked 10.27 after setting a new African record of 10.18 in the quarter-finals (a mark that still stands as a national record). The 3-time Olympian moved to the USA in 1970 to further his education at the Westmont College in Santa Barbara in California. 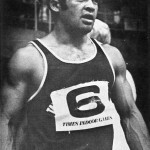 In 1971, during the indoor season, he tied the world record of the 60 yards in 5.9. In the summer, he achieved a hand time of 10.0 in the 100m. At the end of the 1971 season, Track and Field News declared Ravelomanantsoa the number two sprinter in the world behind the Soviet Union’s Valery Borzov. In 1972, Ravelomanantsoa’s dreams of an Olympic medal were cut short when he sustained an injury during the semifinals. 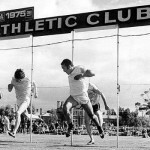 Ravelomanantsoa also made a name for himself in Australia where he was in 1975 the first athlete to win the prestigious Stawell Gift (a handicap race) starting from scratch: 120m in 12.0.